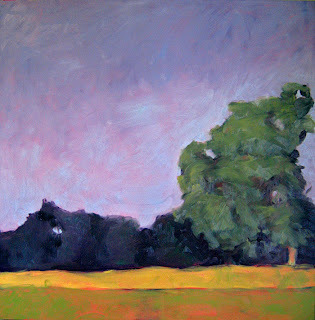 After being away from my studio for over a week, my attitude was not in a good place. 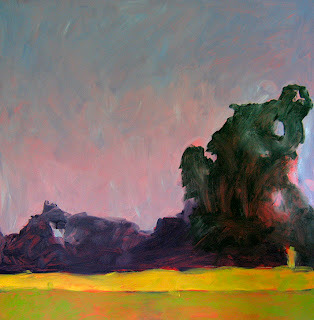 Last evening, I toned and sketched out three, yes three, new oil paintings. 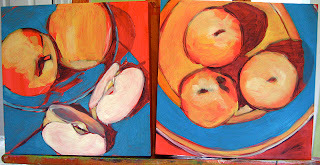 Two are 12 x 12 still lifes on gessobord, and one is 30 x 30 fall landscape on gessobord. All the panels are 2" deep cradled gessobords. I really enjoy working on this kind of material better than canvas. 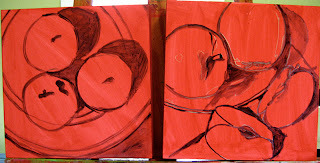 Here are all three paintings in stages. 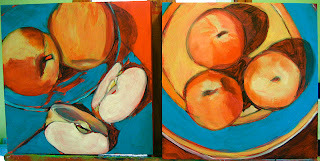 I am working on the smaller (apples) ones at the same time on the same easel. It's much easier to keep the color constant that way. Tomorrow, I hope to put a dent into finishing them. 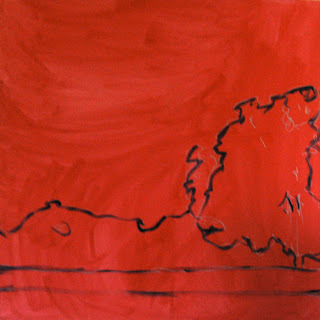 It will depend on if the paint will be dry enough to continue on.